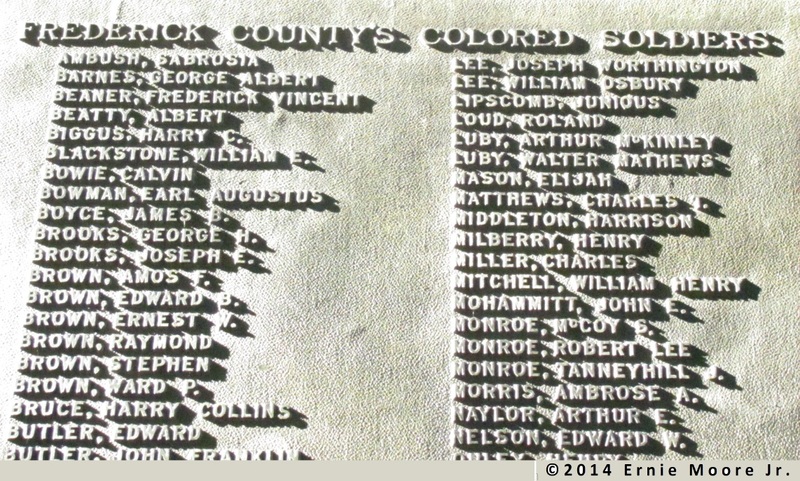 Image Capture of a list of names and the title of this metalwork portion of a monument in Frederick, Maryland’s Memorial Park. Earlier in my photographing I felt it was important to photograph plaques, perhaps signs too. The thinking is that the viewer can see works they otherwise would be unable to see. In remembrance of the sons and daughters of Frederick County Maryland- The Great World War 1917-1918. Veterans’s day was to remember the peace that would now be with the ceasing to fight of World War I. -Ernie Moore Jr.